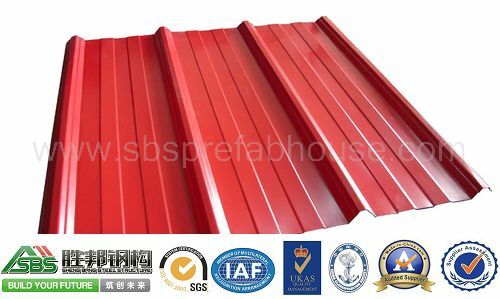 First, the color steel plate adopts high-quality substrate, and the surface, plate shape and dimensional accuracy requirements of the substrate are increasingly higher. 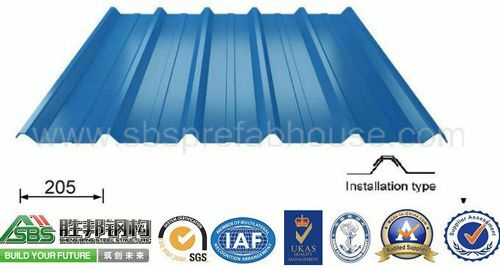 For outdoor use, such as small zinc flower flat hot-dip galvanized steel coil, zinc-free flower flat hot-dip galvanized steel coil Zinc alloy hot-dip coils are raised in time; indoors such as electro - galvanized steel coils, foil cold-rolled sheets and aluminum coils. Second, the improvement of the pretreatment process and the pretreatment liquid, the number of equipment is small, the cost is low, and the mainstream process is continuously improved, and the stability, corrosion resistance and environmental performance of the pretreatment liquid are continuously improved. Third, pay attention to the development of new coatings, improve the general polyester, polyvinylidene fluoride (PVDF) and plastisol, obtain super color reproducibility, anti-ultraviolet, anti-sulfur dioxide, improve corrosion resistance; develop pollution resistance, suction Functional coatings such as heat. Fourth, the unit equipment is more complete. Such as the use of new welding machines, new roller coating machines, complete curing ovens, and advanced automation instruments. Fifth, because cold embossing has lower cost than hot embossing, it has the characteristics of beauty, three-dimensionality and high strength, which makes the cold embossing production technology become the development trend. Sixth, pay attention to product diversification, functionalization, high-grade, such as deep-drawing color coating board, 'fruitfruit skin' color coating board, anti-static color coating board, pollution-resistant color coating board, high heat absorption color coating board Wait. What's more. do you want to know more about steel structure project?